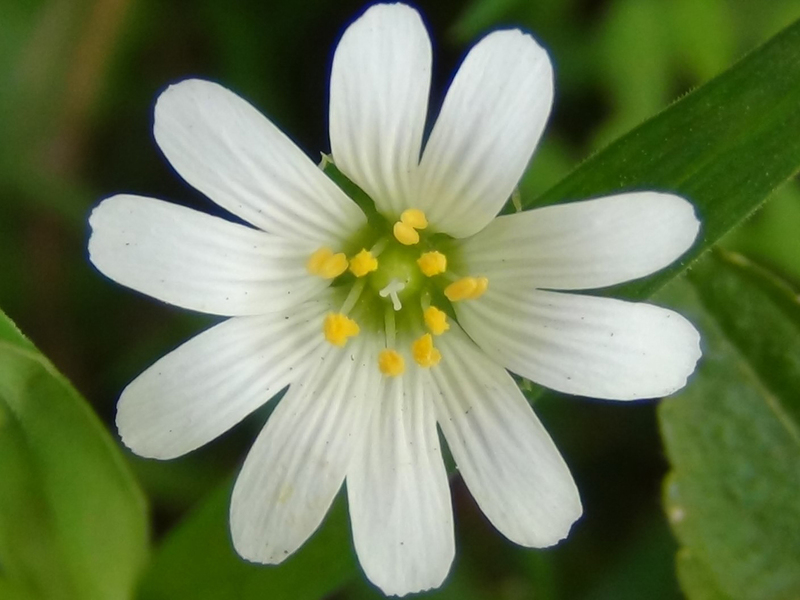 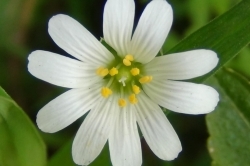 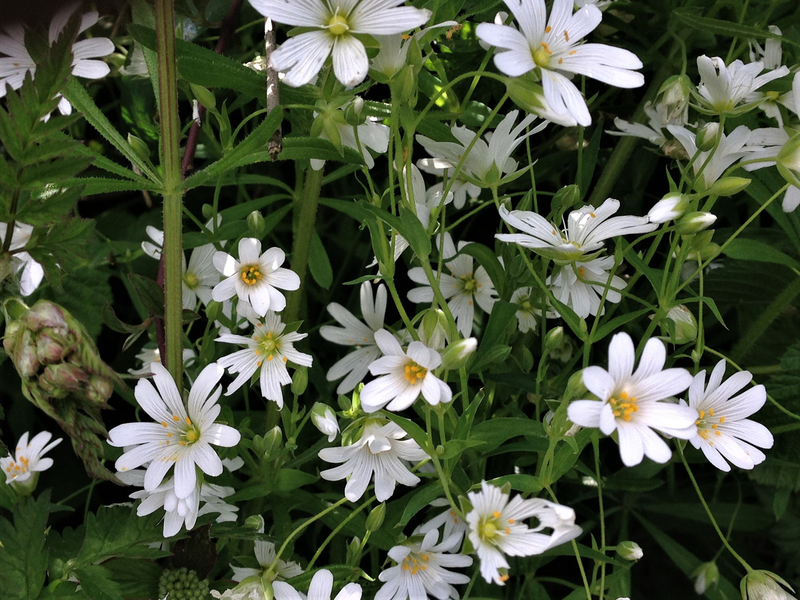 Greater Stitchwort, Wedding Cakes, Star of Bethlehem, Shirt Buttons, Stellaria holostea. 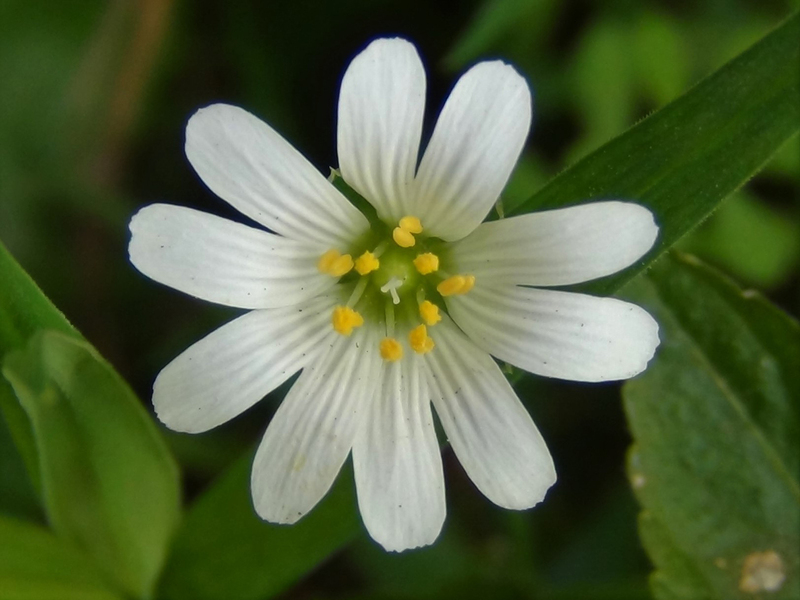 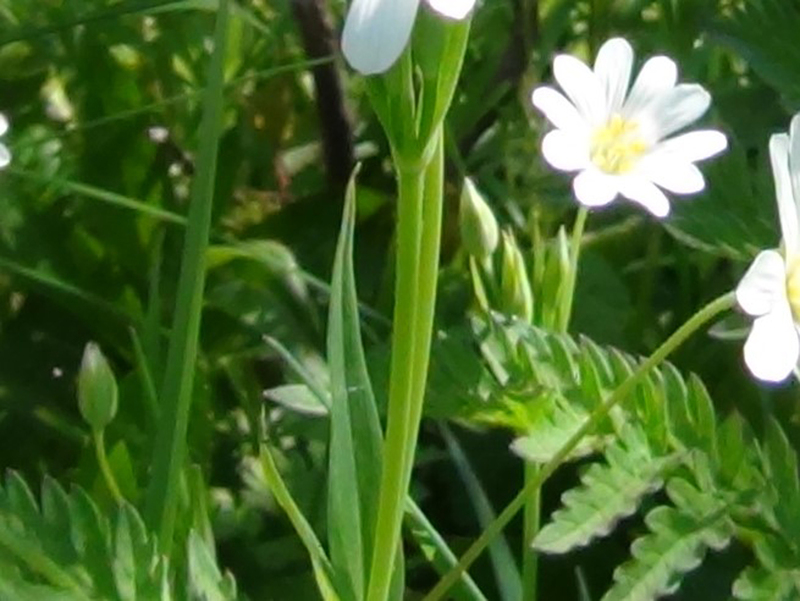 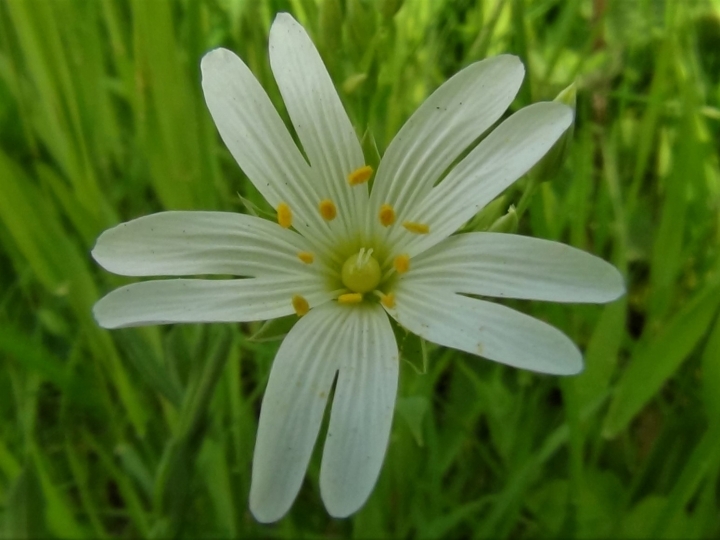 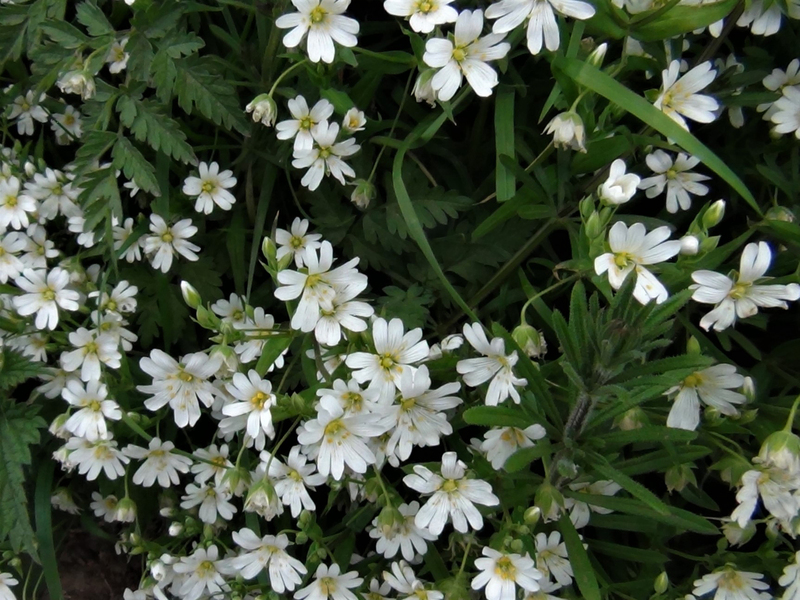 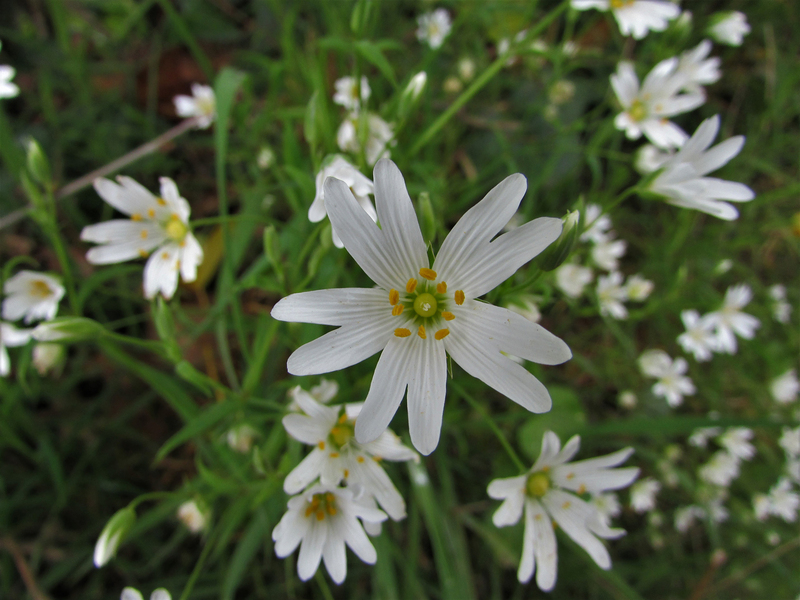 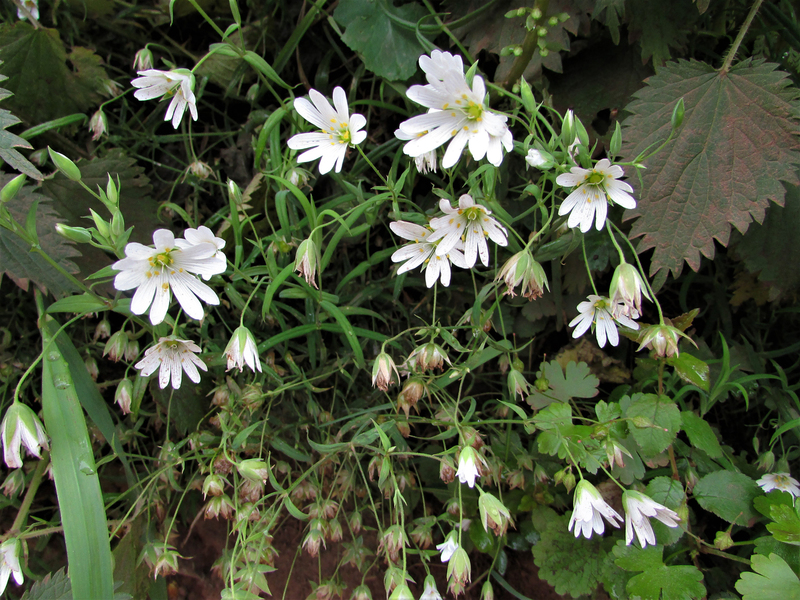 Typical of the Stellaria family, stitchwort has five petals each of them split making it look like ten petals. 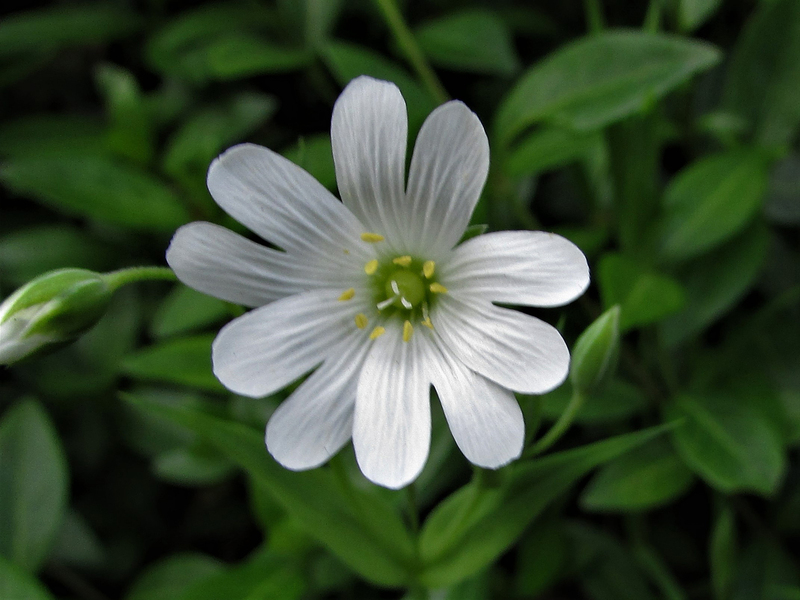 Stellaria refers to the ‘star like’ flower and holostea means entire bone, somehow a reference to the brittle stem. 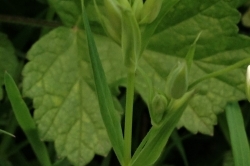 Blue/grey green, narrow, coming to a point and in pairs opposite each other on the stem. 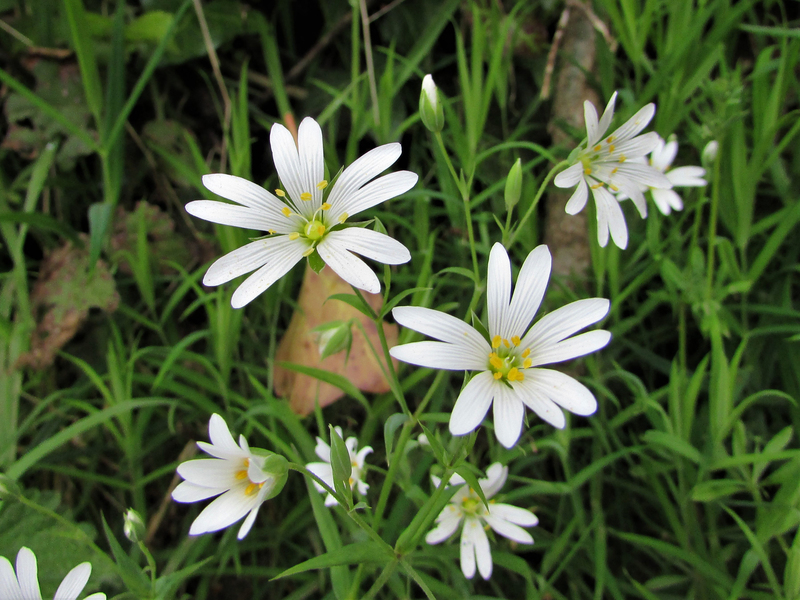 White with five petals each deeply notched as to appear as ten petals, flowering from april until June. 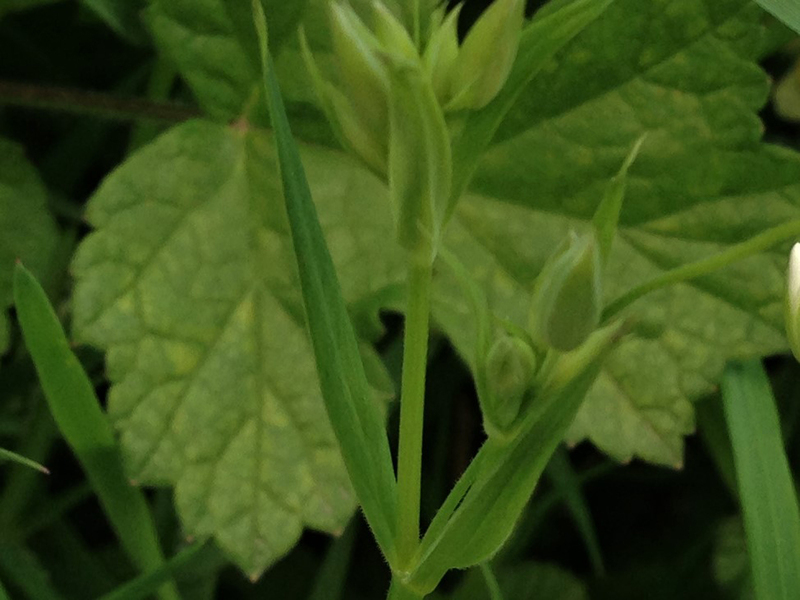 When the seed cases ripen the seeds can be heard ‘popping’ as they are released. 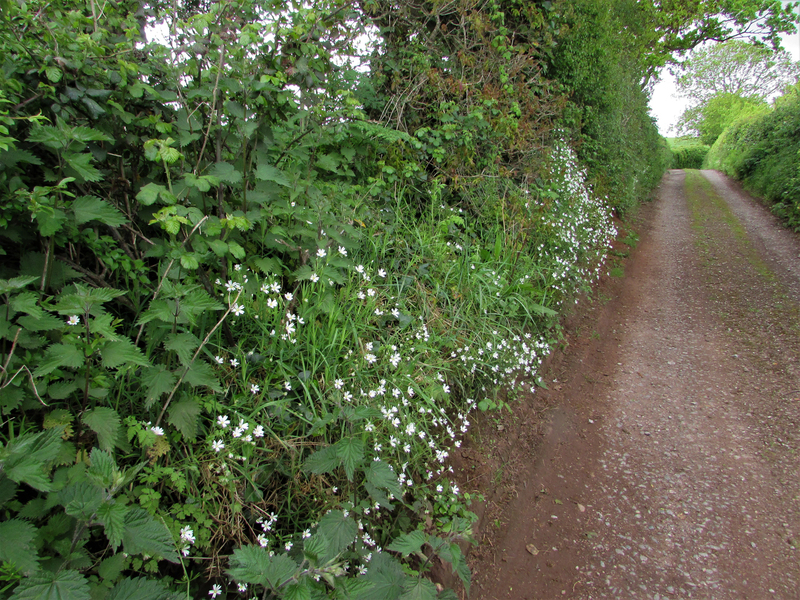 Woods, hedgerows, gardens, field edges and waste ground. 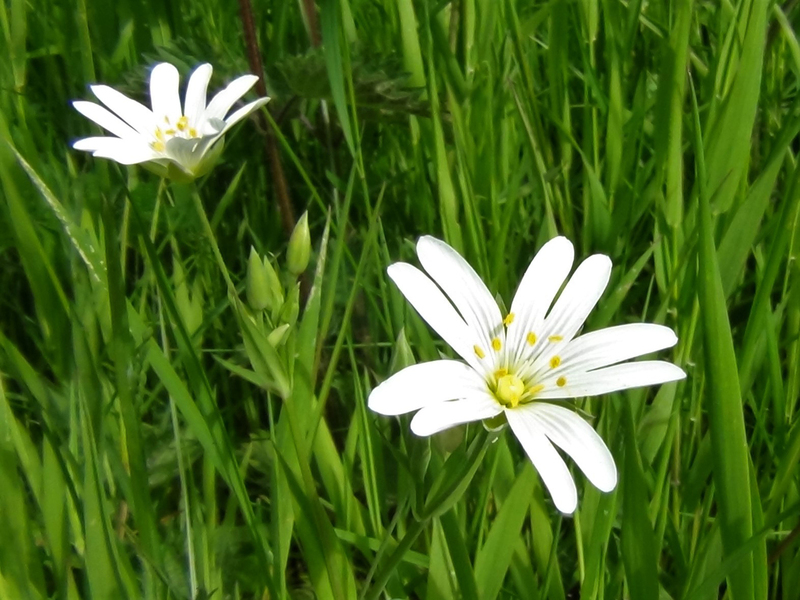 Lesser Stitchwort is identical but much smaller and is also edible. 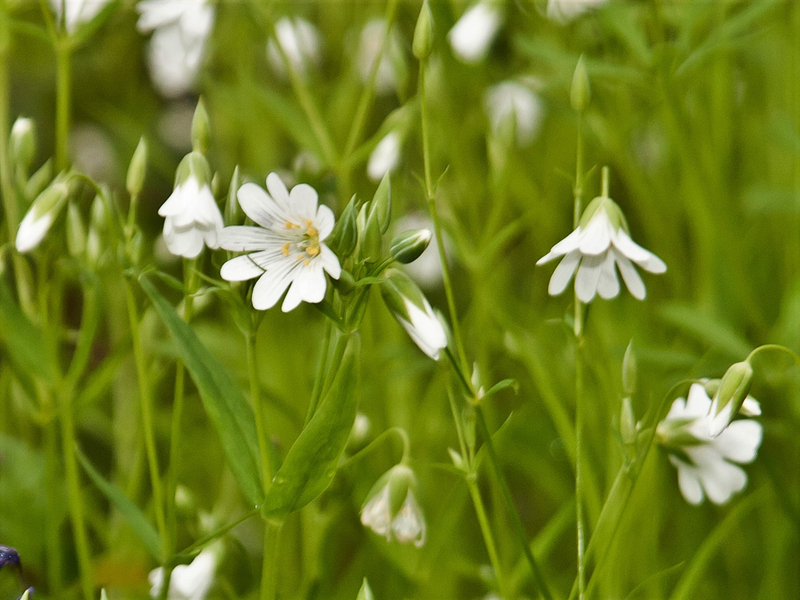 A little like lettuce mixed with grass. 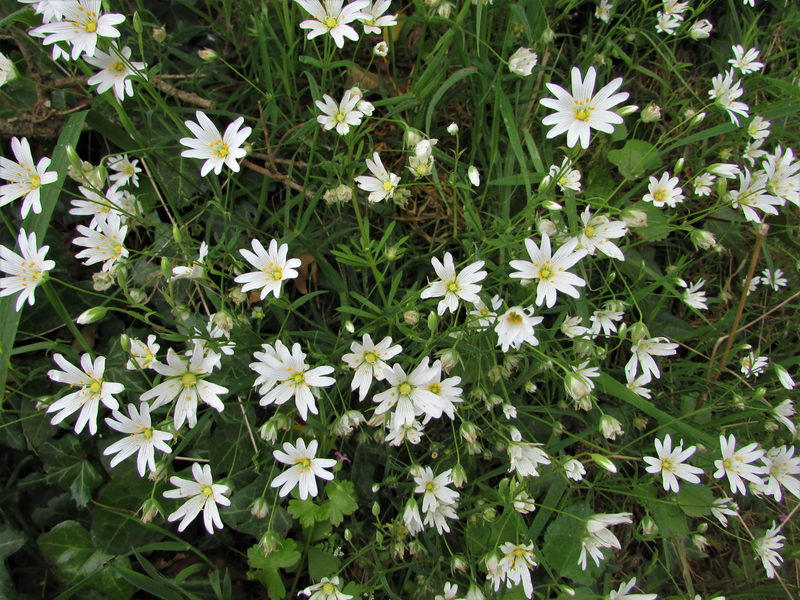 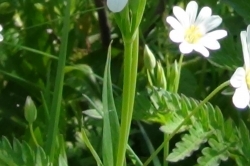 The leaves are quite small and it can take an age to get a good amount but Stitchwort can befound growing in abundance so there will be a lot of it there. 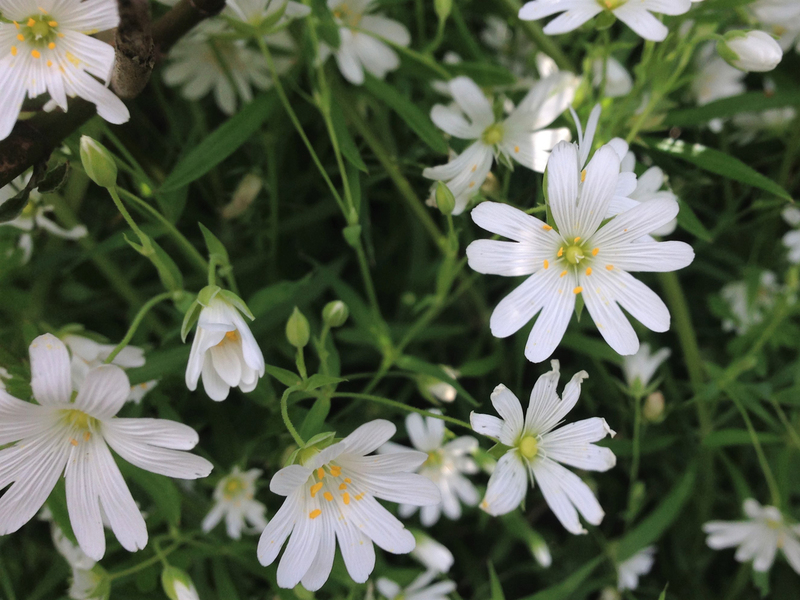 The flowers have a mild taste but look good in salads. 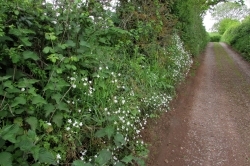 Apparantly can be used to treat ‘stiches’ caused by walking or running without stretching first. 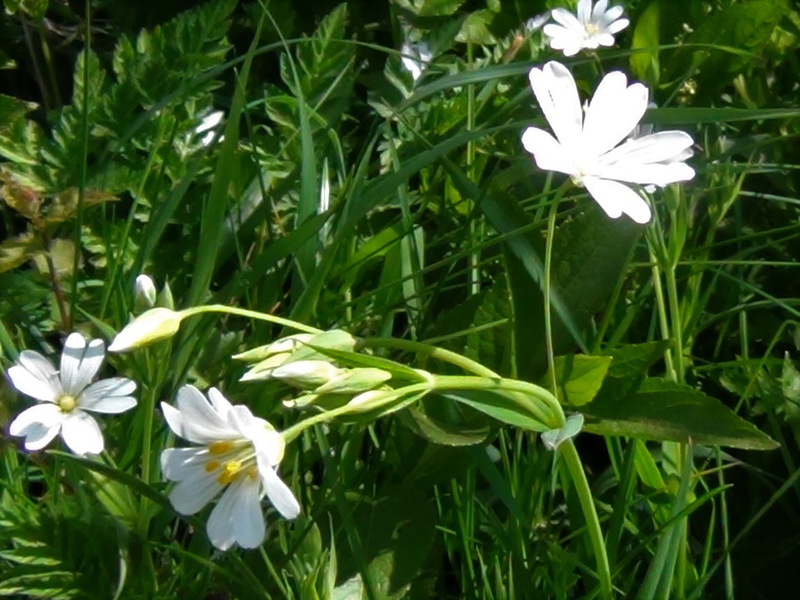 It was thought that picking the flowers would bring on a thunder storm. 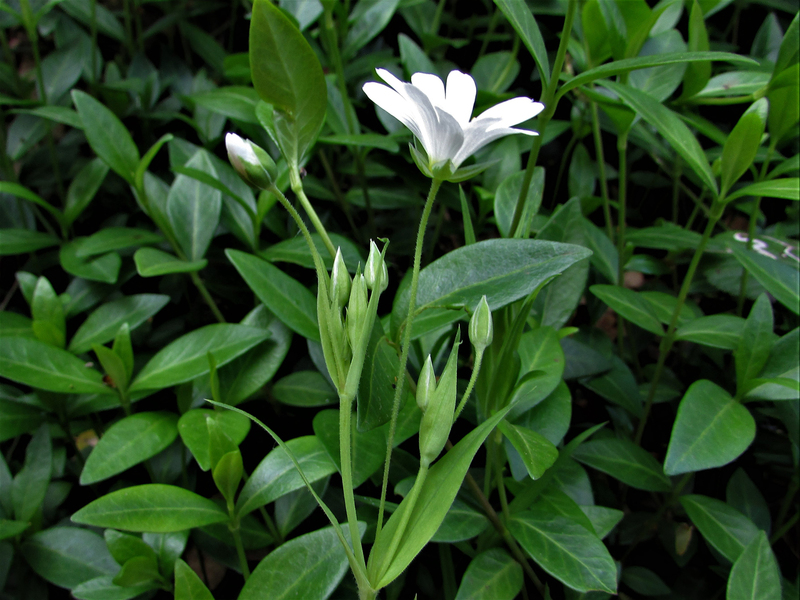 The roots can be used to make a dye.